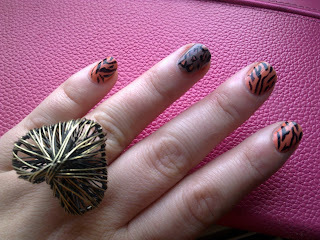 CherrySue, Doin' the Do: 2 Day Early NOTD - They're Grrrreat! Ring bought in TopShop sale for very few p.
What with me getting the madra groomed in the morning and then haring off to Offaly to see a great Pal for a night on the razz ain't no way, no how I'm going to have the wherewithal to do a NOTD on Sunday. So voila! I've kept one accent finger from last week's Leoparder NOTD, it's the weekend so I can get away with it. Spent the evening trying out different animal prints, some waaaay more successful than others so decided on this. Again I used the Essence Coulour & Go in 'What Do U Think', I'm so impressed with the coverage of this polish for €1.29 you can't go wrong. I picked up another couple this week that'll feature in future ventures. 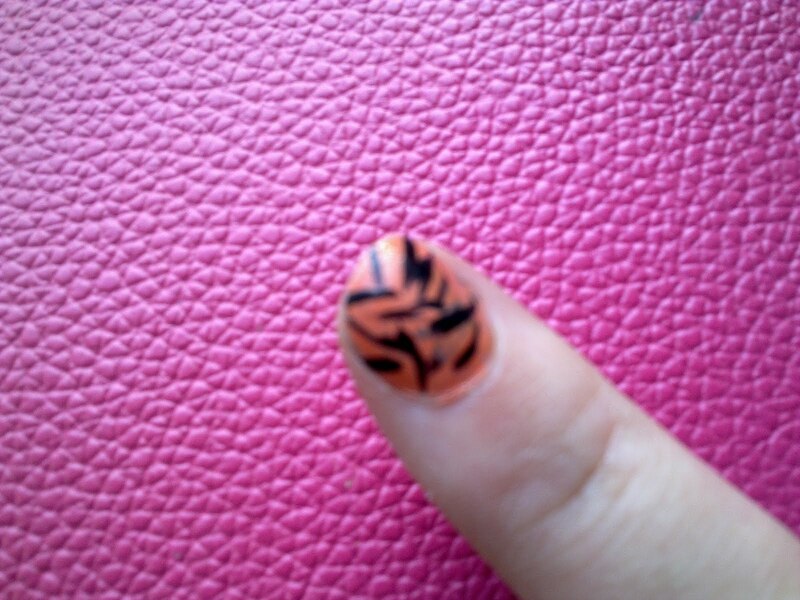 The lines were made using the Kiss Nail Art Pen too. The lines, while fairly wonky for a first attempt, are just random assortments with some forks thrown in. I'm fairly delirah with the overall effect. This mani only takes an average of ten minutes, that's for a novice like me and I reckon you could do it with any colour combo and still get a great effect. 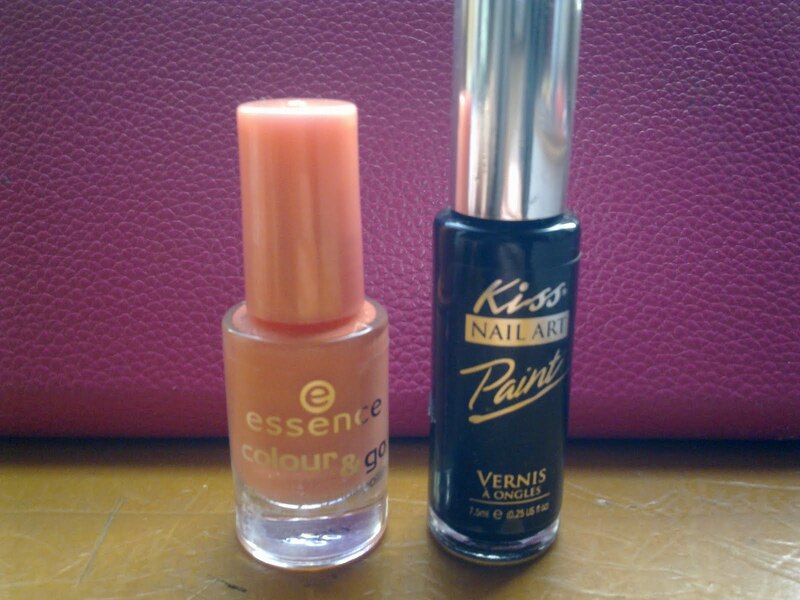 I only chose the Essence as that was used on the accent nail. 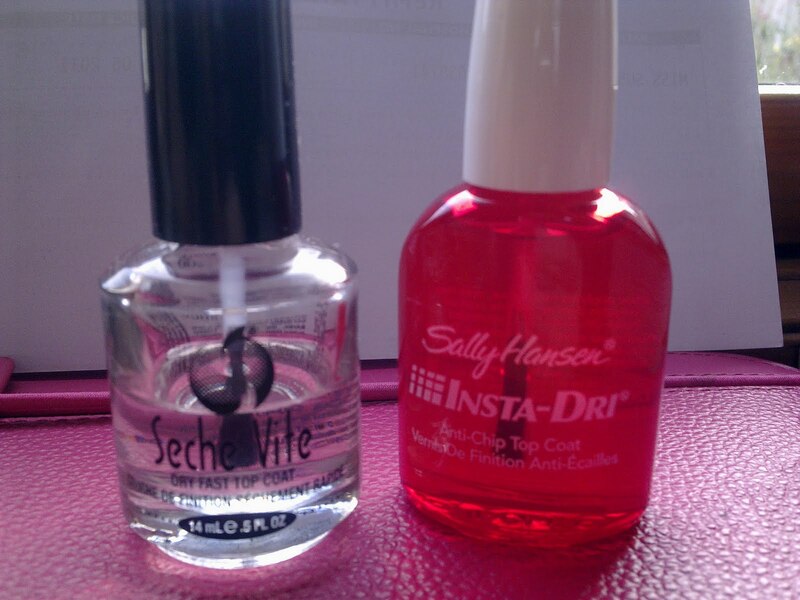 One word of warning though when it comes to nail art has to involve your quick dry topcoat. 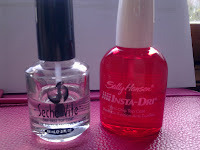 Normally I love a swish of Sally Hansen but it caused the dreaded drag this time. So frustrating! 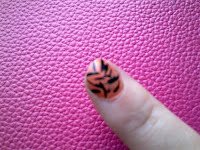 Even though this mani didn't take too long I can imagine the Grrrr if it had. In future I'll be using Seche Vite that finds its own level on the nail without the need to drag. I had been avoiding it lately because of the gloopy factor but it'll be kept fo' sho'. Ooh, those ARE grrrrrrrreat! I don't have the patience to do that, it would be a big blob if I did. 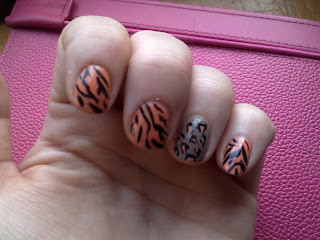 But the tiger stripes look slightly easier than the leopard!